One of the things I hate most is brushing my hair. 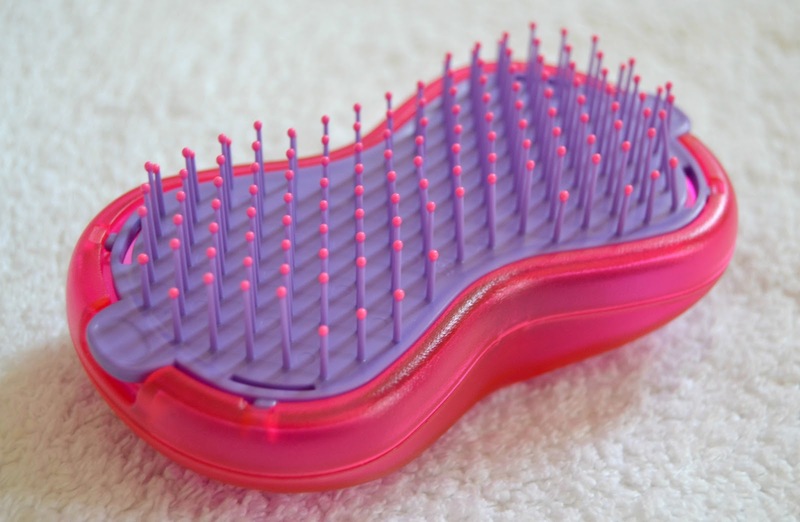 When I was a little girl I dreaded the moment my mum attempted to de-tangle my barnet and fashion it into a school-appropriate style, because it meant the brush getting stuck and me squealing until she stopped. Twenty years later the situation isn’t much different, although the pain is self-inflicted and the problem stems from hair extensions. 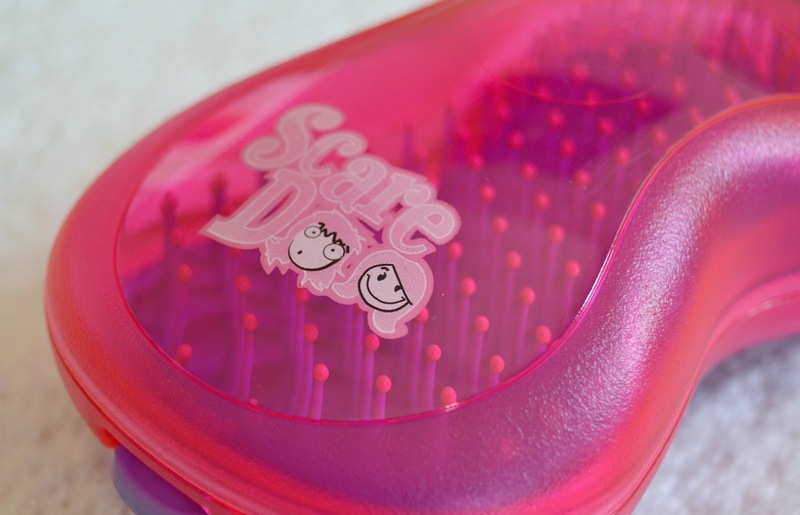 ScareDoo have developed and launched a unique 2-in-1 haircare brush that aims to detangle hair effectively, without causing damage or breaking the hair shaft. Its shape has been designed to fit every size of hand, so it’s perfect for adults and children alike, plus it comes in all sorts of funky colours. 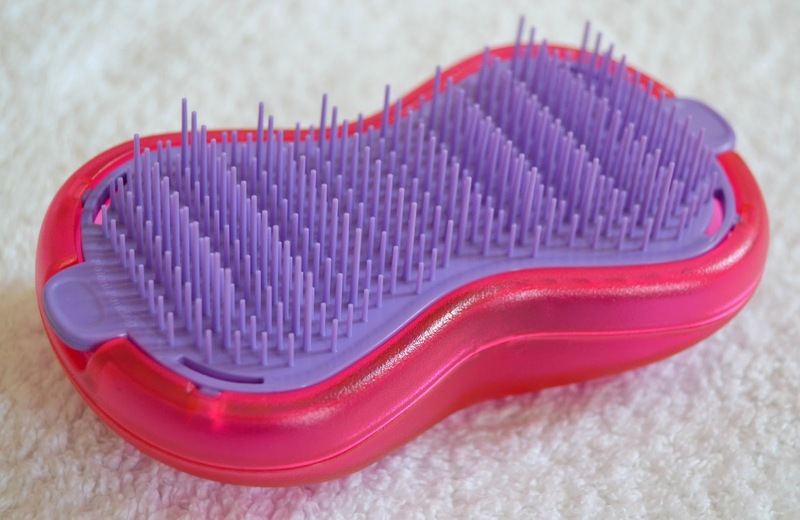 The detangling bristles come in three different sizes to ensure hair is subtly brushed through and left tangle free, but if you flip the brush over it also contains traditional bristles that can be used to style and perfect your hair too. It’s soft enough on the scalp to use on kids big and small, plus it’s lightweight and perfect for travel or popping in your handbag. 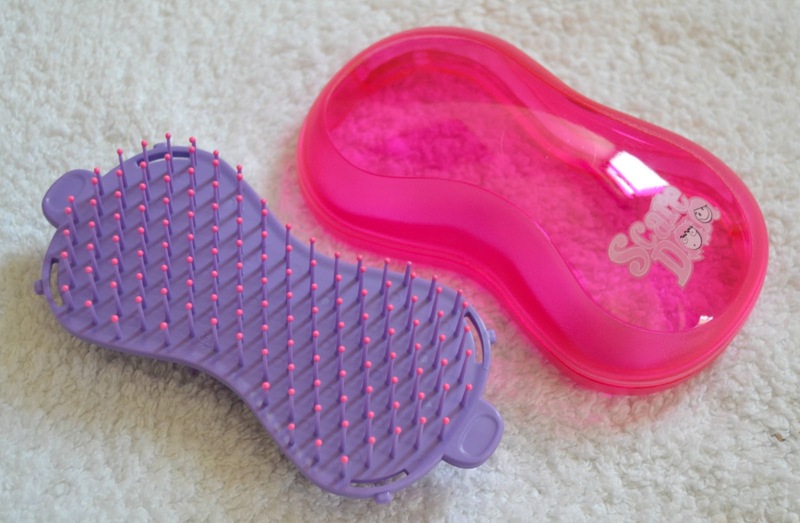 Although Tangle Teezers seem to have taken the world by storm, this in my opinion is way better – it’s lightweight, has two sides for dual purpose brushing, plus it looks pretty cool. Having a brush in the palm of your hand provides better control and ease of styling too, making this perfect to really get deep down and ensure hair is combed to perfection in one swoop. Brushing has never been easier! Hmmm…interesting. I wanna try this one out. Love the color and I think this is very handy.